Although haiku is well known throughout the world, few outside Japan are familiar with its precursor, haikai (comic linked verse). Fewer still are aware of the role played by the Chinese Daoist classics in turning haikai into a respected literary art form. 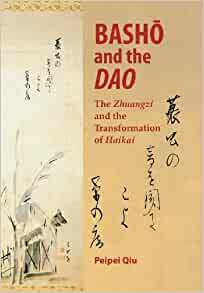 Bashō and the Dao examines the haikai poets’ adaptation of Daoist classics, particularly the Zhuangzi, in the seventeenth century and the eventual transformation of haikai from frivolous verse to high poetry. The author analyzes haikai’s encounter with the Zhuangzi through its intertextual relations with the works of Bashō and other major haikai poets, and also the nature and characteristics of haikai that sustained the Zhuangzi’s relevance to haikai poetic construction. She demonstrates how the haikai poets’ interest in this Daoist work was rooted in the intersection of deconstructing and reconstructing the classical Japanese poetic tradition. Well versed in both Chinese and Japanese scholarship, Qiu explores the significance of Daoist ideas in Bashō’s and others’ conceptions of haikai. 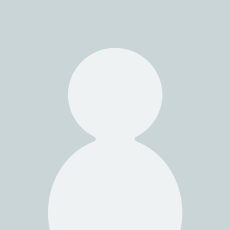 Her method involves an extensive hermeneutic reading of haikai texts, an in-depth analysis of the connection between Chinese and Japanese poetic terminology, and a comparison of Daoist traits in both traditions. The result is a penetrating study of key ideas that have been instrumental in defining and rediscovering the poetic essence of haikai verse. Bashō and the Dao adds to an increasingly vibrant area of academic inquiry―the complex literary and cultural relations between Japan and China in the early modern era. Researchers and students of East Asian literature, philosophy, and cultural criticism will find this book a valuable contribution to cross-cultural literary studies and comparative aesthetics. Peipei Qiu is associate professor of Japanese at Vassar College. I purchased this book after an extended period of research on Basho for a piece I was writing. The chapter on Furyu and Daoist Traits in Chinese Poetry contains the following sentence about fifteenth century priest-poet Ikkyu Sojun, "Having denounced the contemporary values of the Zen communities, Ikkyu turned to poetry and a furyu aesthetic for spiritual sustenance." This sentence confirmed my own research, and supported the idea that poetry and furyu have a capacity to nourish a person on her spiritual journey in a way that other disciplines and experiences can not. If you are interested in Eastern philosophy, particularly Daoism, and its relationship to the artist's way, this book will provide you with solid scholarly material to ponder. The 29 page glossary reveals Qiu's linguistic prowess and is extremely helpful both for reading this book and for studying Chinese or Japanese poetry, especially haiku. I wasn't sure if I should spend the $63.00 for this book but it provided me with a deep and thorough study of Basho and the religious and philosophical underpinnings to his creative genius.